The auction for the seventh season of the Pro Kabaddi League (PKL), set to commence in July, will be held on April 8 and 9 in Mumbai. “The auction dates will be April 8 and 9 and it will take place in Mumbai. And just to go on record, we will do (conduct) season 8, 2020, starting in July (next year). It will help everybody,” League Commissioner Anupam Goswami told reporters on Thursday. In the seventh season, 12 teams will be in the fray and it will begin on July 19. The schedule will be announced later for the same. According to the League Commissioner, the details for retention of players for the upcoming season will be announced in mid-March. Last year, Jaipur Pink Panthers had played all their home matches at Panchkula in Haryana. Goswami announced that this year the team will return to its home city. “Jaipur will be going (back) to Jaipur (to play their home matches,” he said. PKL has so far conducted six seasons. 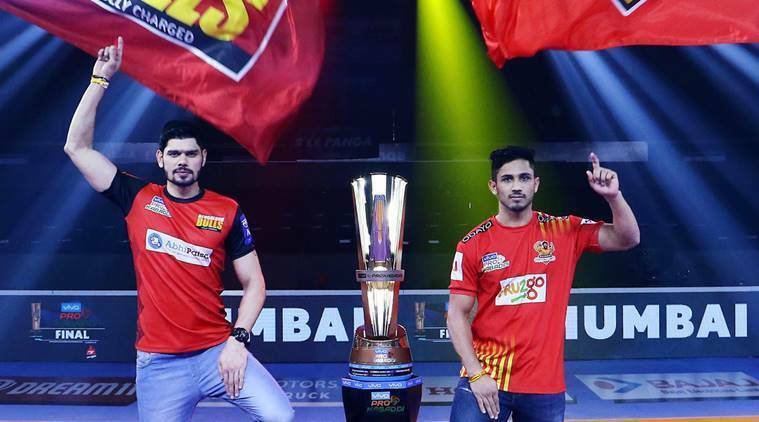 In the sixth season, there were 12 teams participating and Bengaluru Bulls emerged as winners after defeating Gujarat Fortune Giants in the final held here in January. “From the start, our ambition was to grow kabaddi as a sport and the league and we have done it,” added Goswami.